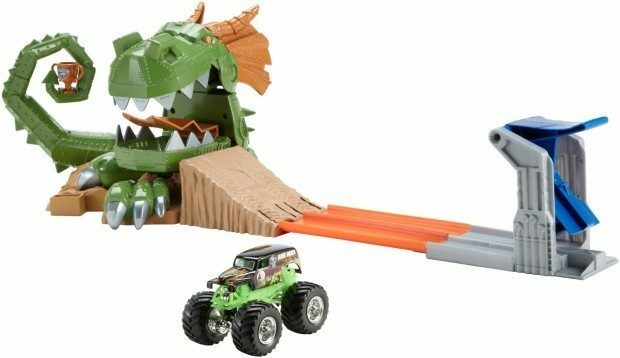 Hot Wheels Monster Jam Dragon Arena Attack Playset Only $14.99! You are here: Home / Great Deals / Amazon Deals / Hot Wheels Monster Jam Dragon Arena Attack Playset Only $14.99! Dragons and Hot Wheels! Head over to Amazon and order the Hot Wheels Monster Jam Dragon Arena Attack Playset for Only $14.99! Ships for FREE on orders of $35+ or if you have Prime! Beware! The dragon can chomp down at any time!